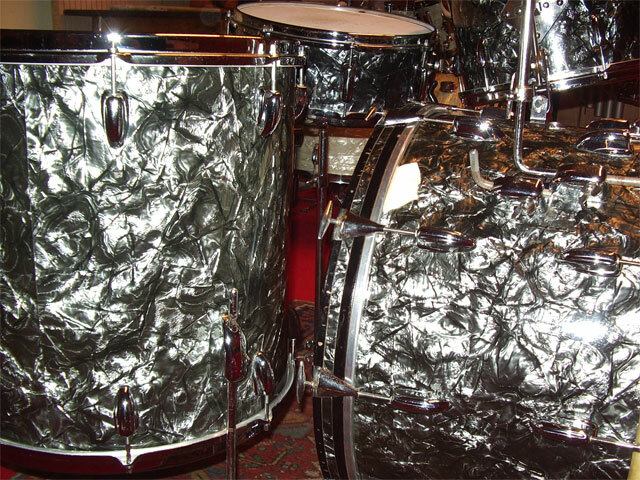 Bassdrum has an extra cymbalholder and the factory Ray McKinley bassdrum muffler. 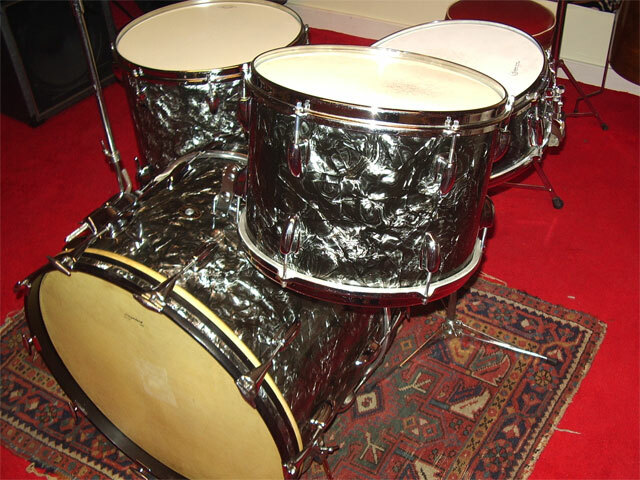 New heads apart from the Slingerland calfskin bassdrum front head. 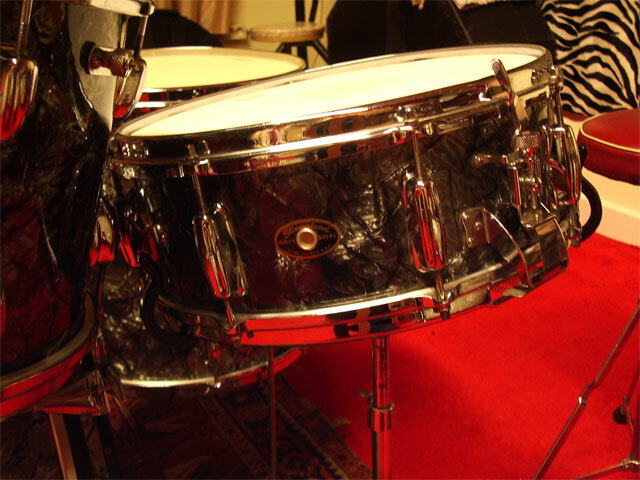 The drums sing deep, they love a large range of tension, from deep low to tight high. The snaredrum has a beautiful 1 ply maple shell and sounds amazing which proofs again Radio King's are the best snaredrums ever. 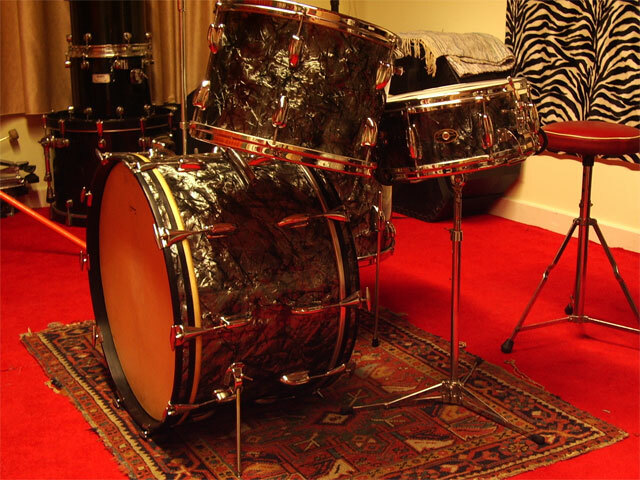 The bassdrum has the Chicago badge, the snaredrum a pre-serial Niles badge, no badges on the toms (of course). Bass and 13 tom have mahogany interior, floortom maple interior. It looks like a matching set, but bass & tom are 1 or 2 years older. 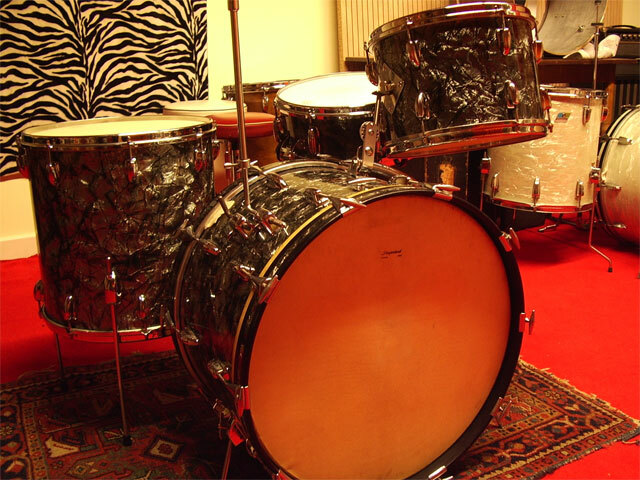 This set was used in the sixties by a famous Rockford, Il drummer, I can't remember his name, but it wasn't Bun E Carlos nor Randy Rainwater! Great, clean set!